Fans of catchy garage rock will be glad to see the Detroit-based singer-guitarist Amy Gore back in action again. She was a member of The Gore Gore Girls, who were one of the highlights of Little Steven Van Zandt’s Rolling Rock And Roll Show featuring The Zombies when it came to Durty Nellie’s in Palatine a few years back. 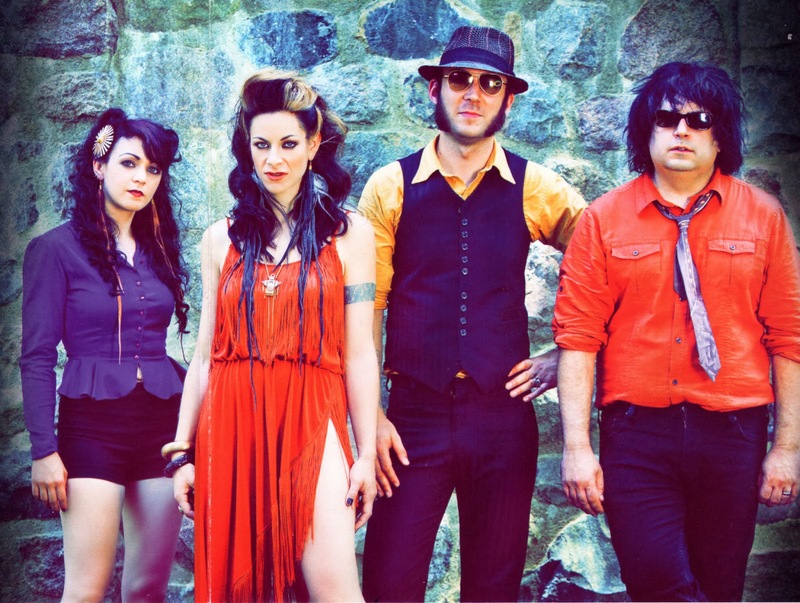 Gore has now formed Amy Gore And Her Valentines with bassist-vocalist Leann Banks of The von Bondies, guitarist-keyboards player Jackson Smith from T-Bone Burnett’s Speaking Clock Revue, and drummer Joe Leone from Grayling. Two of the songs on In Love sound like they could have been penned by Van Zandt, as he did with “St. Valentine’s Day Massacre” for The Cocktail Slippers. But “Send Me A Postcard,” the rollicking first single, is actually a faithful cover of a song by Shocking Blue, of “Venus” fame, and “Remember Me” is one of Gore’s impressive original tunes about romance. She and her new band also bring back the obscure “You Won’t Lead Me On,” which from what I can tell, was originally done by 1960s Seattle-based band The Wailers. In Love explores a variety of ways of being in that state, from the blissful mid-tempo rock of “Drivin’ Around” to the unrequited frustration of “Cadillac,” which is powered by Banks’ bass guitar playing. “Baby In Your Arms” has a bit of a Rolling Stones vibe while “Blackout” melds 1980s guitar rock with 1960s style girl group harmonies. The energetic “Just A Dream” depicts a woman determined to stick with her man despite warnings from her friends about him. “He’s rough, uncivilized,” Gore acknowledges, “He’s wild, and so am I.” All part of being In Love.